When George Schulteti began working for Harley-Davidson® Motor Company in 1922, little did he know that his passion would one day develop into the national pastime of thousands. His strong dedications to family ties and to giving his customers the best service available have combined to produce a business legendary for its product and its employees. His intense love for cycling and excellent mechanical abilities allowed him to excel with Harley-Davidson® Motor Company as a service technician, and as a research and development engineer. He was also one of their most competent test riders. While he enjoyed his work at the factory, George had greater dreams for himself and his family. He was determined to become a Harley-Davidson®dealer. To this end, he patiently and diligently saved his money. And he waited for the right opportunity. 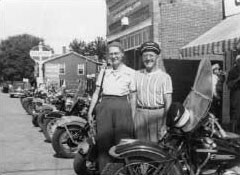 During World War II, George was assigned to take inventory of all the Harley-Davidson® motorcycles in military service. In the process, he rode more than 50,000 miles per year. On one of these business trips, George met Max Colville, a dealer in a small town in Illinois. In October of 1947, they took ownership of the business. After working in Milwaukee for 25 years, George's hard work and dedication allowed him to realize his dream. 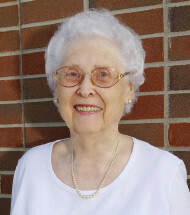 His wife, Ann, joined George as the office manager and also worked the parts counter when needed. George moved his family into one of the apartments above the dealership at 701 S. Meridian Street. 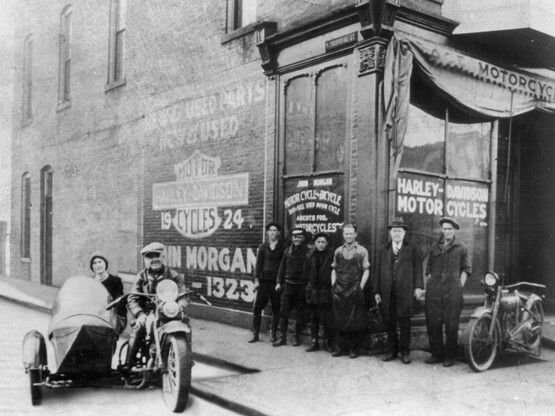 Ten years after joining together to create the Midwest's premier Harley-Davidson®dealership, the partnership ended. Max Colville sold his share of the business to George, who made perhaps the most important decision of his business career. He decided that the dealership should truly be "family-owned and operated." George and his family welcomed customers to the same location for the next 51 years. In 1997, Harley-Davidson® Motor Company approached the Schulteti family with a new national marketing plan that would even out the distribution of dealerships throughout the Indianapolis area. As part of this plan, they wanted the Schulteti family to scout out a new location for their dealership. At the time, the dealership had only 17 employees (including family) and a rapid hiring process began. Having built its reputation on knowledgeable sales and service staff, this was a crucial period for the dealership. By the time it moved in 1998, the number of employees had risen to 32. For the first time, employees would greatly outnumber the Schulteti family members, and everyone wanted to ensure that the change was a positive one. Since the move, the number of employees has nearly doubled and there have been additions to the facility to enlarge the service and storage areas. A focused approach to serving customer needs has allowed Southside Harley-Davidson® to maintain and grow its customer base. 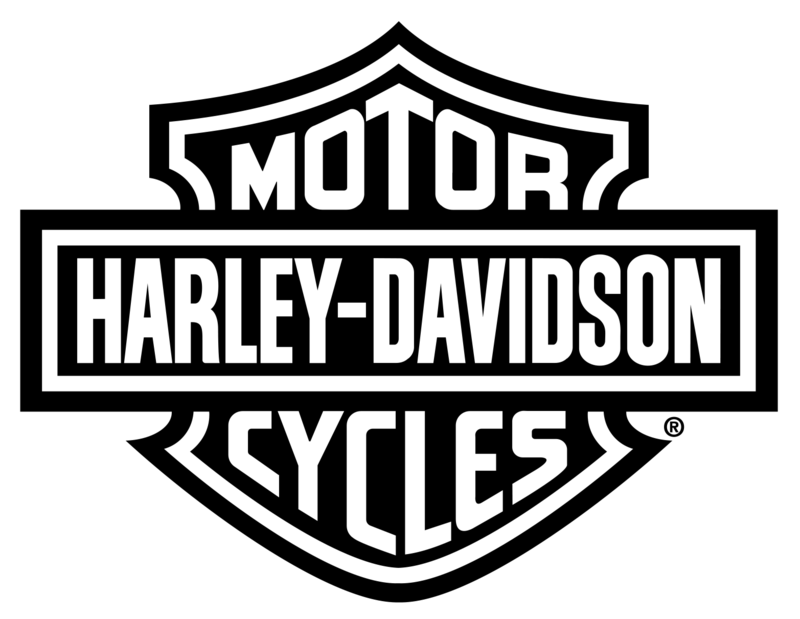 Many of our loyal customers are second and third generation Harley-Davidson® motorcycle owners. 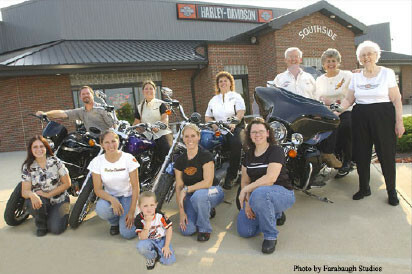 Southside Harley-Davidson's goal is to satisfy every customer that walks through the doors. The Schulteti family takes great pride in knowing that our customers have grown accustomed to feeling like a part of our extended family. Future plans for the dealership include raising a fifth generation of the Schulteti family to carry on the tradition of serving Harley-Davidson® riders. Join us, as you always have, in supporting the lifestyle, the sport and the adventure of motorcycling. Ride free and do it safely. Thank you. For 71 years and across four generations of family ownership, we have provided that special touch which only comes from passion, focus, and dedication to the business and our devoted customers.